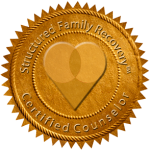 Intervention Associates’ licensed clinical therapist is highly qualified to offer services for individuals and families affected by the family disease of addiction. If you or a loved one is struggling with addiction to alcohol or drugs, and you realize it is time to break the cycle, the holistic approach to care offered by Intervention Associates can be the answer for you. With Intervention Associates, all addiction treatment is guided by the goal of loving family support and preservation of dignity of the addicted individual. If it is time for you and your family to enjoy life again, contact Intervention Associates and find out how to get beyond the problem of addiction and experience healing.